West Coast Catholic: What? Voris Not Catholic??? With all the dissenting 'so called catholic groups and organizations', including Universities, Hospitals church groups (Catholics for Choice example), its kind of perplexing that the Archdiocese would focus on Voris. Don't understand it. One of the comments to the Fr Z post suggest that Micheal call their bluff and file for the use of the term Catholic to force the Diocese to offer an explanation. Sound reasonable. While this is not a so much a question of Voris' Catholicism but rather the use of Catholic in the his organization, this is still perplexing. Make no doubt though I fully believe it was directed at what Voris' views are and how he proclaims them. ...so in a sense I do believe that this proclamation is directed indirectly at Voris. The first thing that I thought of was, is anyone allowed to use the title Catholic without permission? I know I've failed many times and in many ways to live up to claim the title Catholic. I haven't read all the canon law paragraphs pertaining to this but I plan to as well as search the net for some expert analysis. Haven't seen Voris' response yet but I'm sure it's coming. 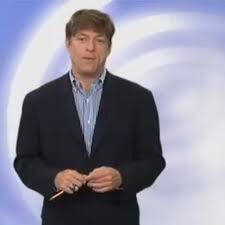 2) Michael Voris not Catholic?! What's Wrong with this Picture?